During your office move, a lot of things change. You might decide to buy new office furniture, upgrade the copier, or install a state-of-the-art security system at the new offices. These changes are important and great for your business, there are some small but important alterations that can have a huge effect on your company’s success. Let me ask you this, in the hustle and bustle of organizing your office move, have you remembered that your business forms need new addresses and contact information, that your marketing material will need to be updated, and that you may need a new printing service all together? It’s an easy office moving step to overlook, but planning for your future business printing needs is just as important as planning your office design. The business cards, brochures, and mailers are the first contact you will make with prospective clients, well before they every see your new and improved offices. It’s crucial to make a good first impression, so you should analyze your current printed marketing tools to see where improvements can be made and how they can better reflect your new offices. You should try begin this analysis two or three months before the move and consider whether your business needs a complete re-branding. That may seem like an added complication for your office move, but really an office relocation is the perfect time to make these changes, since you will already need to order new business cards and marketing materials due to your address change. One tip for rethinking your engagement marketing is to consider how your business is changing with this move. Is your office expanding? Have you upgraded your technology? Is your location more centrally located? Pinpoint the aspect of your move that entices prospective clients most. How will you be able to better assist them now that you’ve moved? You should try and make this a focal point of your printed material. If you want to completely re-brand your business and want that re-branding visible in your marketing material, you should consult a PR or marketing expert to help achieve your vision. This checklist tells you step-by-step what to consider for your printing needs. Get Your Free Printing Services Checklist! Once you understand how your printing materials are going to change, you should meet with your current or a new printing service. 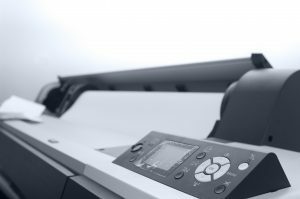 If you are happy with your current service, it is better not to switch printing services unless the current printers cannot meet your new requirements. You should begin making arrangements for business printing a month or two prior to your move-in date, depending on the size of the order. 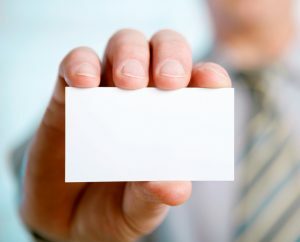 Another tip for ordering your business cards and printed material is to order them to be shipped to your new offices a day or two before your move-in date. This will save you an extra box or two to transport, and save you time and money with the movers. 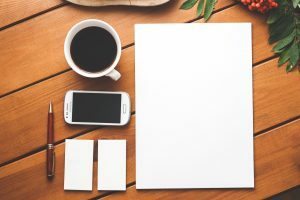 The key to revamping your printed materials, whether it’s just updated business cards or a two-page brochure is to give yourself plenty of time to plan ahead. If you can enhance these materials or even completely re-brand your business, you will be able to attract a lot more clients and in turn make your business hugely profitable. And isn’t that the entire point of an office move in the first place?